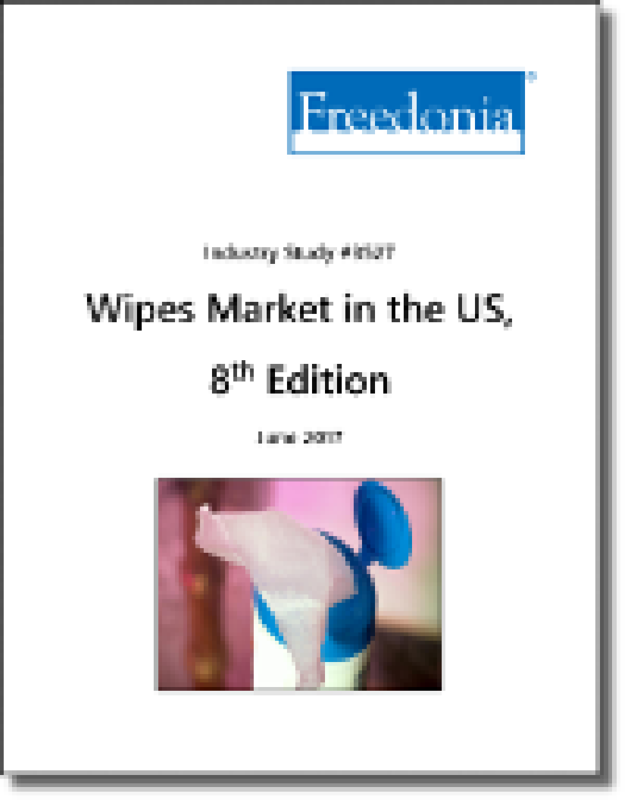 US wipes demand will rise 3.1% yearly through 2021. Some small, niche consumer wipes markets such as pet care will continue to post strong growth as producers design and market products to serve these new applications. Changing regulations regarding industrial wipe disposal will further impact sales. Disinfectant wipes will benefit from a healthcare industry which seeks to reduce the incidence of cross-contamination; food-service operators who aim to reduce the incidence of foodborne ilness; and consumer concern about the spread of germs through contact with various surfaces. This study presents historical demand data plus forecasts for 2021 by product (wet and dry wipes) and market (consumer, industrial & institutional). Consumer markets include personal care, which contains baby wipes and household care. Industrial & institutional markets include manufacturing, healthcare and commercial markets. The study also evaluates company market share and offers competitive analysis on key industry players including Nice-Pak, Kimberly-Clark, Procter & Gamble, Rockline Industries, and Stryker.